Of Ithala Group’s total staff complement of 833, 49,5% are women. The percentage of women in executive and senior management is 40% while middle management is at 28%. The Corporation Board of Directors comprises 57% women while 61% of Ithala’s banking services branches – 22 of 36 branches – are headed by women. In the 2015-16 Financial Year, 66% of the training spend was allocated to women. 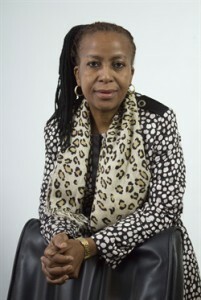 In addition, the appointment of Yvonne Zwane, a female Group Chief Executive in December 2011, is a first for Ithala. 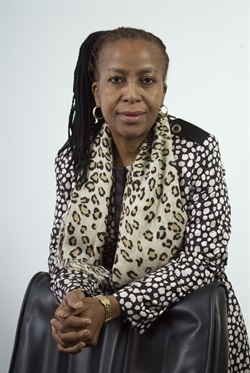 “As a development agency, we are committed to promoting gender diversity in leadership which we believe is critical tobusiness success,” said Yvonne Zwane. “Greater strides are being made by women in the workplace, especially as we see growing numbers of women being involved in high level decision-making. “During 2015, four tea attendants, originally based at Ithala’s Corporate Services Centre, were given the opportunity to take on frontline positions as receptionists at the newly-built Ithala Trade Centre, thereby advancing them professionally and personally.” The development and advancement of women in the workplace, which forms an integral part of Ithala’s growth and development strategy, has been welcomed by various employees within the organisation. “Empowerment means the ability to rise above adversity and compete equally in the world arena,” said Thuli Galelekile, Divisional Manager: Ithala Group Communications and Marketing. She said empowerment was about developing self-awareness, understanding her strengths and weaknesses and most importantly, knowing how far she can push boundaries, as well as her own limitations. It’s about taking steps to set and achieve goals, both short and long-term, and developing new skills. “Don’t be afraid to stumble and fall. It is through failing that we learn the greatest of lessons. This is a motto I have lived by throughout my career. Embrace fear and charge ahead anyway. Don’t be your own limiting factor. “Ithala has reawakened my passion for development. It is my moral radar, a constant reminder of why I was brought to this earth.” Nomthandazo Mtshali, Divisional Manager: Ithala Group Audit said: “Empowerment has many definitions for me. It means being given an opportunity; using it; having people recognise your capabilities and be willing to give you a chance. “My advice to women is, believe in yourself, be humble but be firm in your principles. Few organisations value women’s potential and believe in their expertise. Equip yourself with knowledge and skills; know your capabilities and share them without being arrogant. It is never too late to realise your dream!” Sthabile Shezi, Divisional Manager: Ithala Group Finance said: “Empowerment to me personally, is an opportunity to learn, grow and be given a platform to utilise those skills within the relevant context. I attribute my success to hard work, resilience, a positive attitude and support from my family. “Academic achievements open doors for opportunities. However, it is what you do with it that determines how far you go. Take the people you lead along with you in your development. You are only as good as your team. Be humble in all that you do. She received a promotion within 18 months of joining the company, demonstrating that Ithala does recognise talent and groom women for progression. The company also supported her when she was working towards her Master’s degree. “Believe your voice and conviction more than you believe other people. You are your own limitation. Hard work and dedication never go unnoticed. Remember that it all starts and ends with you,” she said. In addition, Ithala’s corporate social investment programmes are geared to economically emancipate women in the township and rural business sectors. “Imbokodo Iyazenzela” – “Women doing it for themselves”, is a unique enterprise development journey which seeks to acknowledge dynamic women making a positive economic impact in their communities. The programme, which comprises a series of informative workshops held across the KZN province, was piloted in 2015 and reached 1041 women in 16 towns. The roadshow provided key insights into the challenges experienced by women when starting, sustaining and growing their businesses, generating greater understanding of the type of information needed to move forward. This year, Ithala has together with its partners, revisited 10 areas in which workshops were held last year to help address the many grey areas that hinder business growth such as Business Registration; Database Registration; SARS Registration; BBBEE compliance; Business Mentorship; Development of Marketing material; Business Skills Training; and Funding information. The 2016 programme has reached over 1400 women and culminates in the Women in Business Awards Dinner to recognise, acknowledge and celebrate women who have advanced in the small business arena. Plans are in place to include business mentorship as an integral part of the 2017 Phase 3 programme roll out.